Die maximale Dateigröße für alle angehängten Dateien beträgt 20 GB. Auf der Seite „Sicherheit“ erfahren Sie, wie Ihre Dokumente gespeichert oder gelöscht werden. Die maximale Dateigröße für alle angehängten Dateien beträgt 10 GB. Auf der Seite „Sicherheit“ erfahren Sie, wie Ihre Dokumente gespeichert oder gelöscht werden. Bitte lesen Sie unsere Allgemeinen Geschäftsbedingungen. Mit dem Absenden Ihrer Anfrage stimmen Sie automatisch den AGB zu. Sie erhalten innerhalb weniger Stunden eine Antwort von uns. 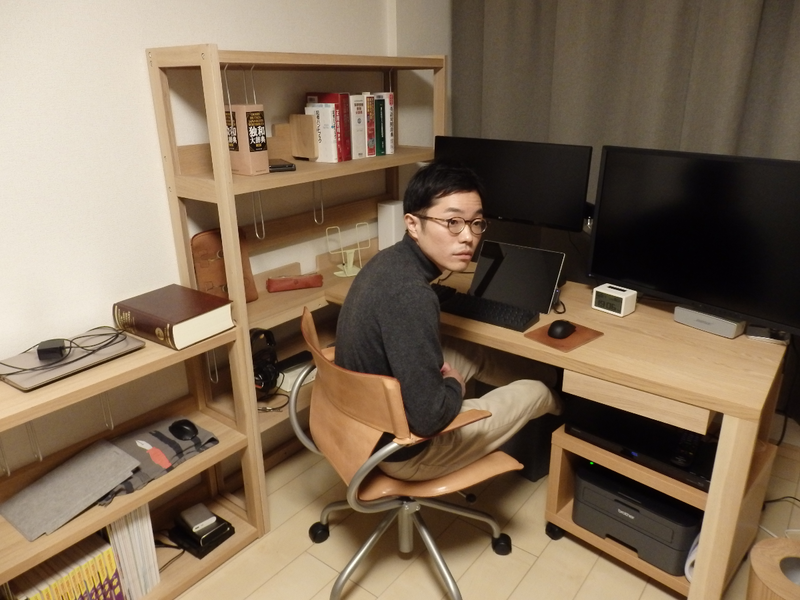 I’m Yuji Fukumoto, a Japanese translator and translation project manager. When I speak about “translation,” I am not talking about “interpretation,” which is something entirely different. What I do is to convert a document written in one language, into another language. I do not do oral interpretations of conversations on the spot. In the event that you have not outsourced your translation tasks before, I would like to show you some basic concepts along with the Do’s and Don’ts of ordering translations. >> First of all, before you make a decision about having your work translated, talk with someone in this industry, maybe a sales rep or project manager from a translation agency. Once you discuss the specifications of your project with them, they may have some suggestions regarding preferable options that you hadn’t considered when you browsed their website. For example, maybe you want to translate your English document into Japanese so you browse some websites comparing prices. You find that the lowest rate to have this done would be seven cents per word. You have your answer! It far exceeds the budget for this project, so you can’t outsource it. But in some cases the cost of a translation can be lowered quite a bit through the use of computer-aided translation tools, a pivot language, or possibly something from your profession. If budgetary concerns are important on your project, just negotiate the price. There might be a solution that will work for you. A couple of years ago when the Japanese government had a bid out for a big translation project, one Japanese translation agency offered to do the job for less than three cents per word, which was less than half the other offers. Not surprisingly, they won the job. Or, if your project is on a critical deadline, it might be too late now to expect good quality translations. You would have had to start the translation process at the same time as the other ongoing processes on your end. Maybe you didn’t need to struggle with your PHP program files in order to extract and tidy up the texts to be translated. The agency might have some useful tools and would have been able to work directly on your program files, saving you time. It is always best to contact someone within the industry at the start. It should be one of the first things you do. Although the key for a smooth operation is to consult someone in the translation industry at the start, you should probably learn about some basic aspects of how the translation process works and about the costs and time frame to get a project completed. There are usually five distinct steps in a translation project: planning, translation, proofreading, checks for quality assurance, and the client’s review. There are times when the third step, which is proofreading, is excluded from a project due to budgetary issues, a deadline, the level of quality required and so on. You and the language service provider, or LSP, need to discuss these kinds of issues and the specifications for the project in the initial planning phase. For example, does your project need any “adaptations?” In our industry we tend to give a lot of respect to what is written in the source documents, and we try to refrain from rewriting or “adapting” original phrases into similar, yet different phrases in the target culture, even if the direct rendering has no value or makes no sense to the target audience. We deliver these kinds of translations on a daily basis. Once, when I was a newcomer in this industry, a client got back to me after I delivered some translations. He asked, “Why didn’t you ‘translate’ the CEO’s name?” I checked our translations and confirmed that the CEO’s name was properly translated. We discussed this and I learned that what he wanted us to do was to replace the British CEO with the Japanese CEO. This type of rewriting goes beyond the scope of a simple translation, and I realized that we should have made this clear in the planning process, whether or not the client wanted adaptations. This would most likely be the case for marketing materials or creative materials where you would want the sentences to flow as smoothly as possible. The fifth step in the process, the client’s review, is absolutely necessary if you have partners within your industry that are fluent in the target language. Unfortunately, there are times when mistakes are made in translating text and this can be due to any number of reasons, even with the LSP’s utmost care. Things might be put out of context, and this can happen quite often, when they don’t relate to your new products. Or in other cases, they don’t handle industry specific jargon properly since they don’t have inside knowledge. Or they might misread something between the lines because the main characters in your documents only share some things with each other. To avoid these mistranslations, discuss as many details of your project as possible with your agency. Who are the target audiences? What is the purpose of your translation? It is very important that the agency knows these things so they will usually ask you about them. You should be prepared to answer questions before your project is started and throughout. Even after the translation is delivered, we are open to getting your feedback. These days, most LSPs determine their prices based on four different aspects of your project: How many words are to be translated? What are the source and the target languages? How soon do you need the translation? What is the subject matter of your documents? Roughly speaking, though the base prices vary among different LSPs, the cost will fall somewhere between 6 to 35 cents per source word. Plus, additional costs may accrue in some cases, like when your documents have HTML tags or pieces of program codes, which require special handling, or if there are any images that contain text that needs to be translated, or when you need DTP – desktop publishing services. If your project is on a critical deadline and you need a quick delivery, it may be possible to some extent. But please understand that the workload of an individual translator is about 2,500 to 3,000 words a day. This comes to less than 10 pages as a PDF file, although that number does depend on the source language. Plus, as I mentioned earlier, translating services usually come with other processes, such as proofreading and checks for quality assurance. Basically, the volume of output for a typical project, not a rush job, would be smaller than that word count. For a project on a rush order, LSPs will assign multiple translators and have them work simultaneously. This way they can deliver the translations faster. In these cases, someone must supervise the translators and all the translations. This is because, for example, each translator may prefer a different translation for the same source word, or they may adopt different levels of register, which would destroy Japanese translations if this were the case. This is why a project should be overseen and supervised by one person, to avoid inconsistency in the translations. The higher the number of translators working simultaneously on the same project, the more work there is for a single supervisor to do. And the odds of getting a good quality translation become lower. This will cost you more as well. Therefore, if you can extend the time frame out without cutting precious time on your end, it is always beneficial. Please think about having them start at the same time as the ongoing processes on your end, or once each file is ready, consider having them translate them one by one, rather than waiting until the entire set of documents are completed. Remember, if your project is under a critical deadline, it is always helpful to make contact with translation agencies as early as possible, even before your documents are ready to go. Translation processes take a lot of time and money, and still there are times when it goes wrong. Even after your translations are finished successfully, additional work and costs might be necessary in order to maintain that translation. This can happen when part of the original text needs to be modified. Before you order your translation you should think about how you could cut the volume down for the translation. You may be able to replace some source text with graphical images for international readers, like Google does, or delete entire sections or pages that may not pertain to the target audience. If you have no idea where you might make cuts, or whether symbols may mean different things to the target culture, again make contact with translation agencies, as they may be able to help. If you have outsourced a translation project in the past you may have talked with someone that wants to take on your project and shared with him or her what the specifications and needs of your project are. They may have suggested various types of options that you were unfamiliar with, and then offered to line up well-qualified translators just for your project. These people are the translation project managers and they usually comprise the most important part of a translation agency. Without having them, the quality of work offered by a translation agency would be more susceptible to change especially when your project is of a long duration. Very often a translation agency assigns freelance translators, not in-house translators, to a project. So you have to anticipate that your favorite team of linguists who participated in your past projects may have all since been replaced by others due to lack of availability. Now the quality of your project may be in jeopardy. But even so, if this does occur with your project there is one safeguard available and that is by having a translation project manager. If they notice problems in translations before its delivery to their clients, they will be able to control its quality in many ways, such as, by replacing the translator and starting the translation process from scratch, or instead assigning an experienced proofreader expecting their hard work, or even they themselves can revise the translation under certain circumstances. To maintain the same high standards of quality for good, at least they must be a native speaker or an equivalent of the target language, plus, they must be language-sensitive. My business is almost the same as theirs, except that I work on a freelance basis. In fact, more than 50% of my clients are translation agencies. I take care of a percentage of their translation projects, the ones in which the target language is my native tongue, Japanese. Since 2013, thanks to a lot of help from other professional translators in Japan, a large number of clients in more than 15 countries have enjoyed our services. We translated more than one million words just last year. Our customer retention rate has remained above 85%, which I believe is very high in this industry. As a translation project manager I can manage the costs and the time allocation for your Japanese translation project, and ensure its quality.